I just ordered a 84 Metal Brake Booster for my 94 Corvette and will be installing it when it gets here. Hopefully it will fit I am tired of plastic ones going bad also. I think the only difference is the center rod in the booster has to be adjust outward closer to where it mates up to the back of the Master Cylinder or you will have a 1/4" gap there and play in your brake pedal. Compare it to your original to get the correct clearance to the center rod it just unscrews outward. Also metal boosters are cheaper which is a bonus. That plastic Cardone rebuild Booster is junk don't buy that ever lasts only 2-4 years if that. 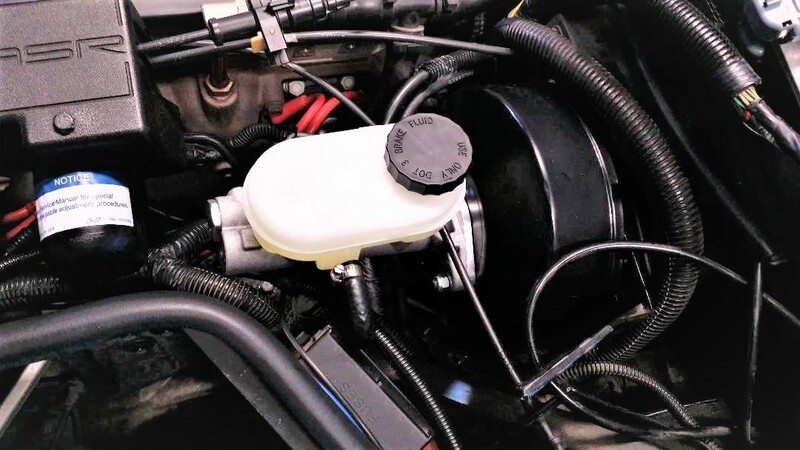 Last one I purchased recently from Rockauto was rebuild incorrect the Master Cylinder mounting posts on the booster were tapped and installed on an angle not straight and could not install the Master Cylinder would not fit. Also you never want to return anything to Rockauto the forms and questions they put you threw is a joke big hassel I stopped buying from them. Summit racing or Jegs are really good suppliers for C4's no problems ever. Hopefully my post will help other c4 owners. Recent Update just got my refund from Rockauto on defective brake booster took 10 days. Brutal return policy with them. Great for buying but not for returning no way to call them either no customer service at all. Last edited by Big Darrell; 12-29-2017 at 11:04 AM. I ordered one from Rock Auto GM Part number 19287000 or AC Delco Part number 14PB4300. This was a remanufactured replacement for my 93. I was surprised when I opened the box, but it was a direct replacement for my plastic one. I did have to clean it and decided to paint it with high heat paint. My original booster cracked from my long tube headers so the metal one turned out to be a nice upgrade. Thanks for your post and information.Currently the only available Metal Brake Booster is a Delco rebuild for a 84 Corvette but should fit in my 94, will be installing it in a week or 2 and will post how it fit and how it functioned.My 94 Master Cylinder bolts up to it with no issues everything lines up. Rockauto currently only sells all plastic brake boosters for C4's. I am still waiting for my refund of $156.00 for the Junk Cardone Plastic rebuilt Brake Booster that I sent back from them 10 days ago. The mounting posts were not straight and could not mount it correctly. I used to buy everything from Rockauto until this happened. I forgot to mention I purchased my current 84 Metal Brake Booster off Ebay from AC Delco Warehouce for $115.08 with no core charge and free shipping best deal I could find anywhere. Arrived silver will be painting it black with a good high temp engine paint VHT is always good to use. Plastic brake boosters should not have been installed on any C4's ever what were they thinking. Last edited by Big Darrell; 12-27-2017 at 09:27 AM. I got one from A Zone...it failed in about 4 months.Made by some company in Calf or out west someplace..talked to their customer service guys a couple of times. Went with Delco OE replacement from Rock Auto...on my 2nd one of those. Dont think metal is the silver bullet. Maybe...? This has been a problem for a year now in my 94. Also same issue in my 94 to. That is why I will be installing a 84 Metal Booster to see if it fits and operates correctly. Will post results next week. 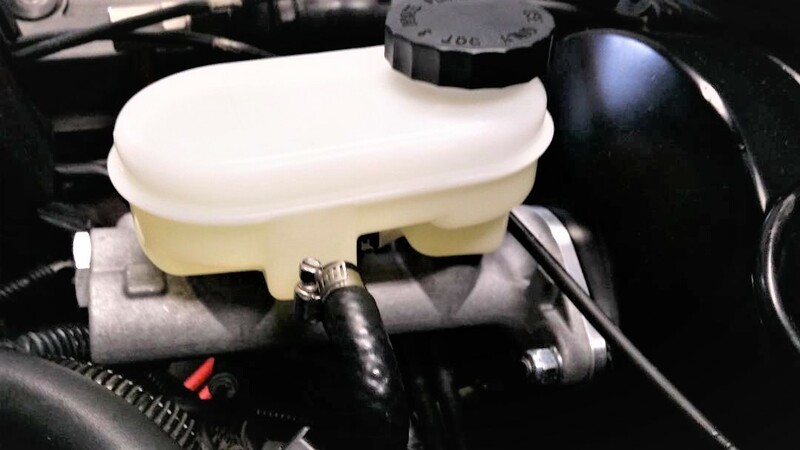 The plastic cases on the Cardones fail overtime because of the heat from your engine. LT1's run hot anyway so what was GM thinking Plastic (really !!!!) The plastic boosters get hairline cracks in them that leak from expansion and contraction overtime so the rebuilt ones are no better because of many hours of heat on them from previous owners. That is why they do not last. Also all the rebuilt booster's are done by Cardone at Autozone even there Brand Duralast. Last edited by Big Darrell; 12-29-2017 at 11:07 AM. 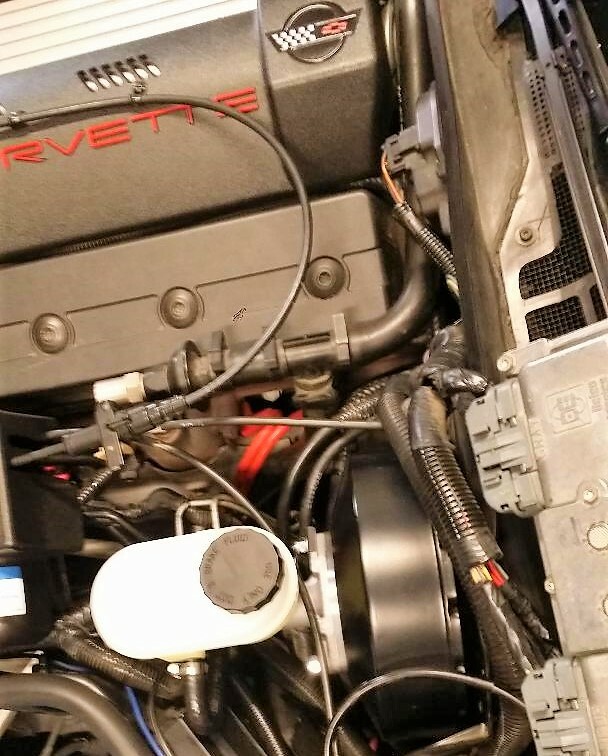 Just installed a 84 metal brake booster in my 94 Corvette it fits and is a little smaller so it fits even better than the plastic. It comes silver so I painted it black with heat engine paint. Had to add 4 inches of vacuum hose to make it work because the location is lower left side instead of near the top. Just make sure your pedal center rod is the same distance to your master cylinder when you bolt it up. Still waiting on my new master brake cylinder coming next week but everything seems good so far. Part# 14PB4299 Cost US $115.08 free shipping. Power Brake Exchange in San Jose (and another location in Socal) made the Auto Zone metal version. Not sure heat is an issue. The one I took off was original...I did have the m cyl stud spacing issue on th 2nd ACDelco booster. Master cyl is a new AC Delco. Yeah that is the only thing I can see that will be different is the rod spacing, my 84 Metal Booster came with a metal spacer that goes in between the Master Cylinder and the 2 Booster studs to aid in adjustment if needed and then make sure to be care with the brake line threads not to cross thread them because that might be a little different as well in position but they will fit also with a little effect no big deal. Thanks for the great info. This has plagued c4 owners for a while. .for the longest time I thought I had a abs unit problem..it wasn't. 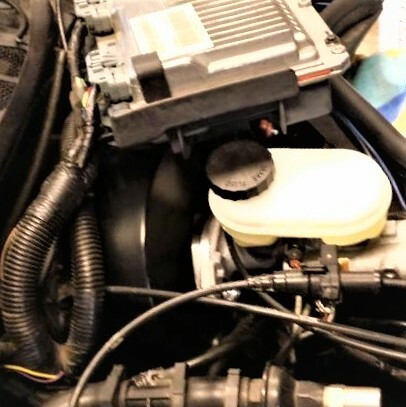 Finished installing my 94 master brake cylinder with the abs hose connector on the side to the 84 metal brake booster everything fit. No major issues stock 94 vacuum hose has to be extended 4-5 inches to reach new location on 84 booster location left side lower position. Will bleed brake lines tomorrow but did the bench bleed today on the MBC before install. Both brake lines fit great with this setup. I like this setup much better no plastic crap anymore looks like a ZR1 setup but only 2 mounting holes to line up on the firewall. Much better. So this message is to all C4 owners you can install a 84 C4 Metal brake booster in any year C4 because it fit in my 94 C4. I was tired of buying those **** plastic ones that kept going out. The brake booster I used was a ACDELCO-PRO-DURASTOP Reman 1984 Chevrolet Corvette Part# 14PB4299 (comes silver painted black) make sure it is this part number, because this booster comes with an alum. mounting spacer you will need to achieve the proper pedal shaft distance between your brake booster and your master cylinder. You will need this spacer so everything fits right booster shaft to MBC. Purchased 84 brake Booster on ebay for $115.08 with free shipping and no core charge. Hopefully this will help all the C4 owners that are tired of paying for plastic crap. Don't buy any **** Cardone aftermarket rebuild junk ever. I have had nothing but problems with them over the years. Their optisparks are also total crap. Big Darrell out. 84 C4 Metal Brake Booster installed in a 94 C4 great fit. Painted black they come stock silver painted. Last edited by Big Darrell; 01-12-2018 at 08:10 PM. Welp, My brake booster just randomly decided to start leaking the day after I put the new heads on. I have only driven it for 1 day in the past few months and now the brake booster decides to buy the farm. Darn. If that metal booster is still working for you, I may do that instead. Does it feel the same as with the plastic booster? If it is an upgrade and cheaper how could that be a hard choice? I hope mine comes with a spacer like yours. Are you sure it does come with that 14PB4299? Last edited by CaptainMerricka; 10-24-2018 at 12:38 AM. Yeah I can not find any ac delco boosters anywhere. The literal only replacement I can find is the duralast reman. So that is what I’m doin right now. Picking one up later. They also have a 84 option but no guess as to whether it has the metal space or not. Plus it is 3 days out and the plastic one is in stock.